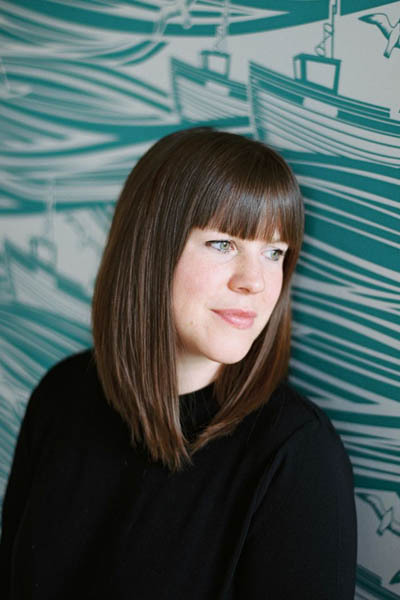 As I explained last week I lost a lot of images from older posts whilst meddling with my blog design (ooops!). Therefore, I have been spending my spare time trying to upload the original images back into my archives and although a painful process it has been nice at times re-discovering posts I did a few years ago that I had forgotten about. 1. Three years on I still LOVE this idea and it has helped so much in daily cooking and you no longer hear me scream “where is the f**king lid to this pan???”. Do it immediately if you haven’t already. 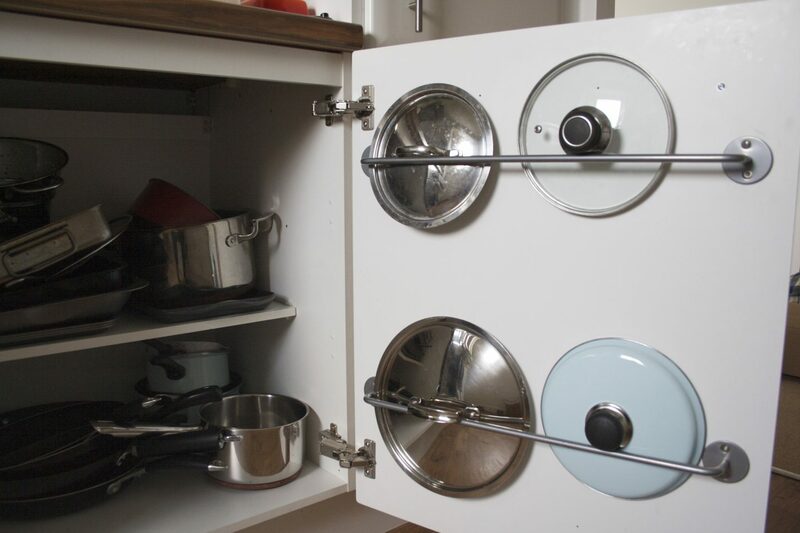 Screw these GRUNDTAL rails to the inside of your kitchen cabinets as the perfect way to store pan lids. 2. 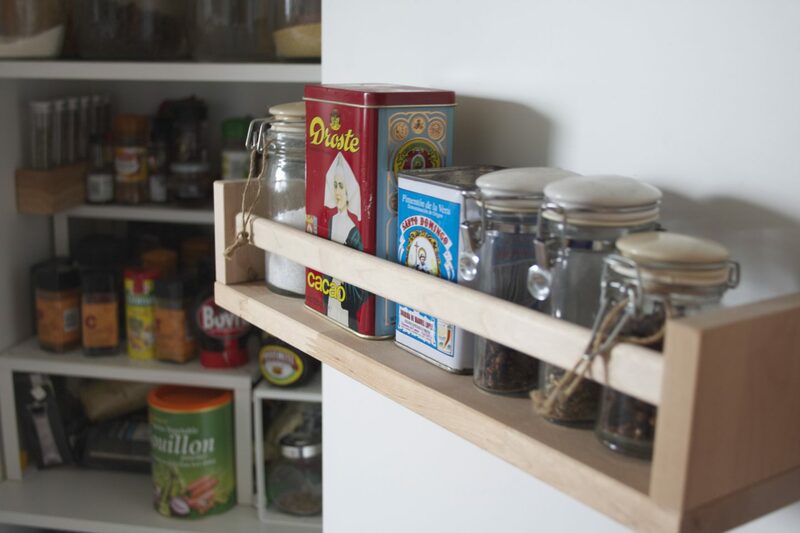 The versatility of these BEKVAM spice racks is great and we have three screwed into the back of our main food cupboard, which provides valuable extra storage space. Be careful to choose screws that are short enough that they won’t damage the outside of the cabinet door. 3. This is probably the image that has been shared most widely from my blog (shame it’s not aesthetically pleasing at all!). These KNUFF magazine files are a great way to add space for cleaning materials or we use them for cling film and foil as this frees up a whole kitchen drawer. Be careful where you decide to place these as if you want to store something tall in them you will need to mount them fairly low down on the door. 4. 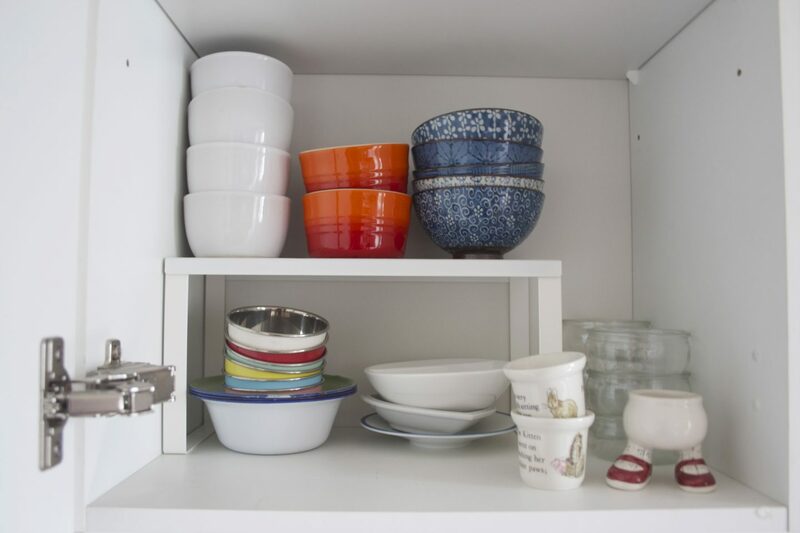 VARIERA shelf inserts are a great way of using wasted space in kitchen cupboards and they effectively double how much you can store. 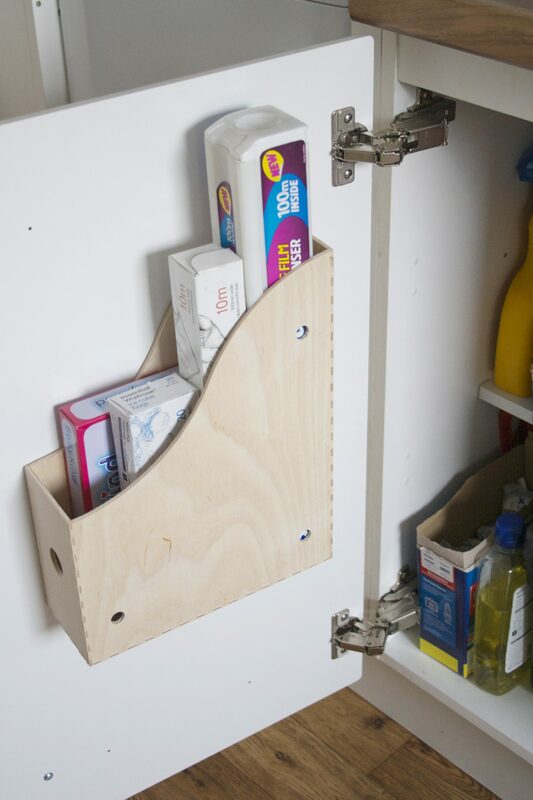 Such a simple way of adding more storage space. 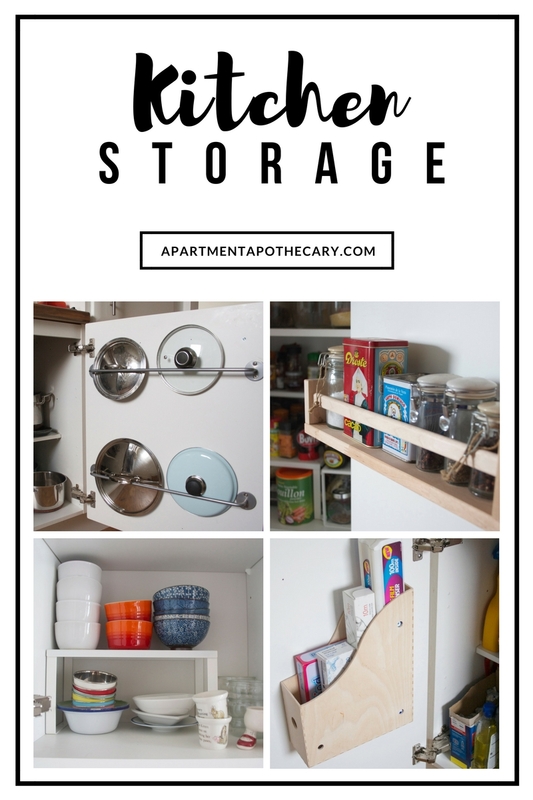 Hope this is helpful for those of you who missed it first time round and if you do need more storage in your kitchen you really should try these ideas as they have made a massive difference for us and three years on we are still using all them. Lovely tricks, I saw those pics over and over again on Pinterest and I always thought they were so clever, but I never knew they belonged to you! Thanks for re-sharing!!!! Oh my word, yes I had no idea these were your ideas Katy, although I’ve always thought they were genius tips! Oooo, I keep forgetting your great idea for containing rolls of foil and grease proof paper! Made me giggle that of all the most dreamy photographs of your gorgeous home, these are the popular ones!